This gift guide includes gifts for the girl who hosts the events everyone wants to be invited to, the girl who is the life of the party whether it is a dancing on the tabletops soiree or an intimate dinner gathering, and the girl who considers party planning an art form. These gifts are all about one of my hobbies: entertaining. 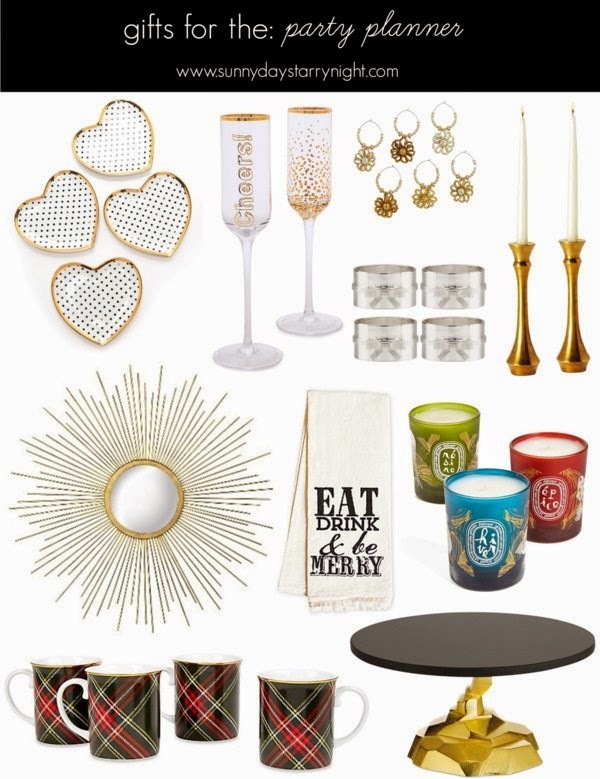 Some of my favorites from this gift guide include these beautiful champagne flutes, this mirror that would be a great focal point in any room, these tartan mugs that scream for hot chocolate, this chic lamp that is under $100, and these lights available in every letter. 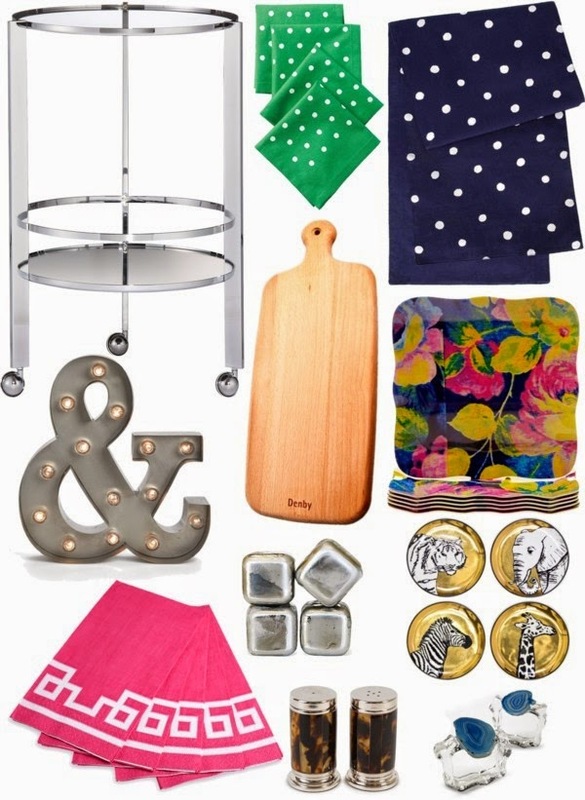 These are perfect gift ideas for those friends that love to entertain! I have a friend in mind for some of these!! Some great ideas here and I know a couple of friends who would like some of these (and myself of course!) I love those votives. oh gosh that black dress is so beautiful, somehow reminds me so much of black swan! 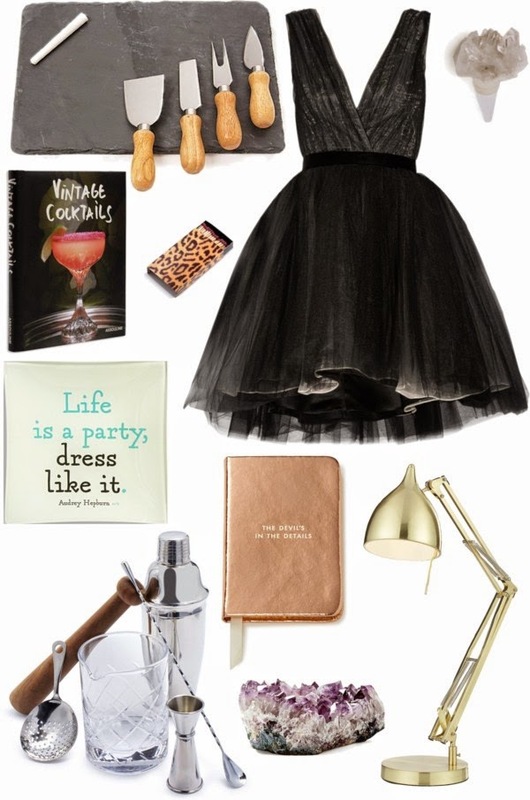 Thumbs up for the lamp, the ampersand, candle holder and the lamp. I wouldn't mind finding those in my stocking next month! 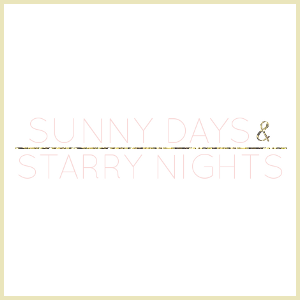 I'm agree for the Diptyque's candles ! So many wonderful items, I want all of them. Perfect for entertaining. I want that champagne glasses and the black gown! That’s so nice post!! Well dear I always recommend hiring a talented event coordinator for your special occasions. And you are absolutely right that appreciating their work by giving gifts is the best way. I also gave a beautiful gown to my planner that hosted this Christmas party for me at one of my favorite NYC event space. You know she did all this work within my budget.